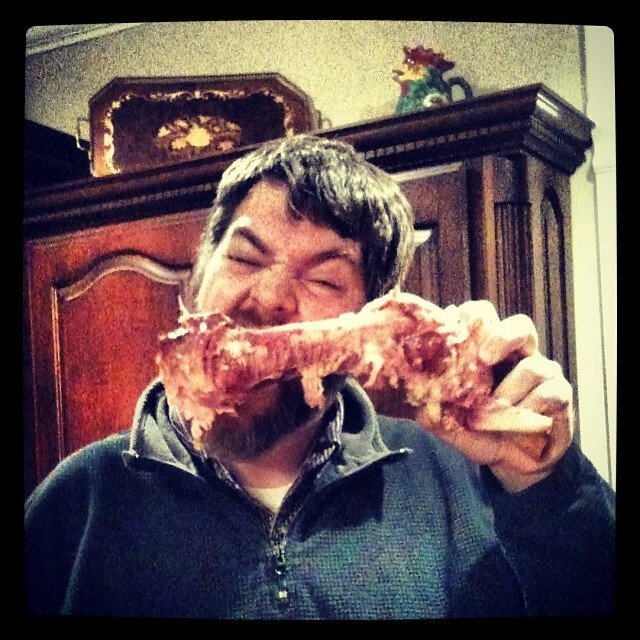 So…it’s been a few weeks since the last time I’ve written anything on Fat Dad Camp. I’ve been on a holiday hiatus of sorts…there’s been literally no time to write as our time has been filled with non-stop action including a long road trip with my family to Disney World, then Christmastime hustle and bustle, and now New Year’s Day is upon us! Seems like just yesterday it was Thanksgiving. Just in case you may have wondered how this recovering food-a-holic made it through the holiday season…I can tell you about it first hand…it was a little tough. I gave it a good try to stay in bounds from a food standpoint. The good news is…I didn’t gain any weight…which is great I guess when I consider that I did indulge a bit here and there. There was only one real episode of overkill though…I practically made myself sick eating ribs and gluten-free brownies at Disney World one night then proceeded to ride a boat shortly thereafter! Now it’s time to get back into the swing of things…rubber…meet road. 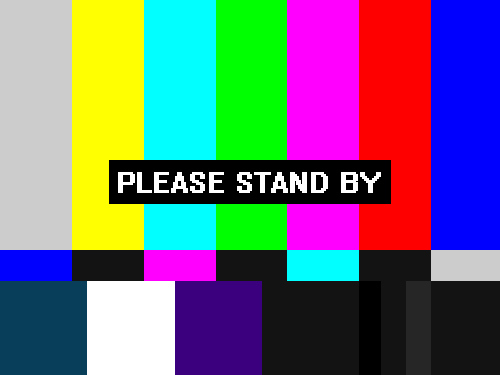 Please stand by…and Happy New Year! It’s been a short while since I’ve blogged…you may have been wondering whether or not the Thanksgiving Holiday did me in. Several folks have ask how it went for me…the eating plan…the temptations faced…successes and failures…etc. Honestly, I think it went rather well…I may have eaten too much ham but if you could have seen, smelled, and tasted the ham you wouldn’t blame me one bit…at least it’s protein, right? I can’t stress to you how important it was to have a plan…a manageable plan. Having a plan took a lot of the guesswork out of eating…and knowing ahead of time what food would be available truly helped me stay the course (not over-eating) during the holiday. It was also beneficial that my wife and I have become meticulous food planners since the beginning of this new way of life…so in the run-up we had some good practice. 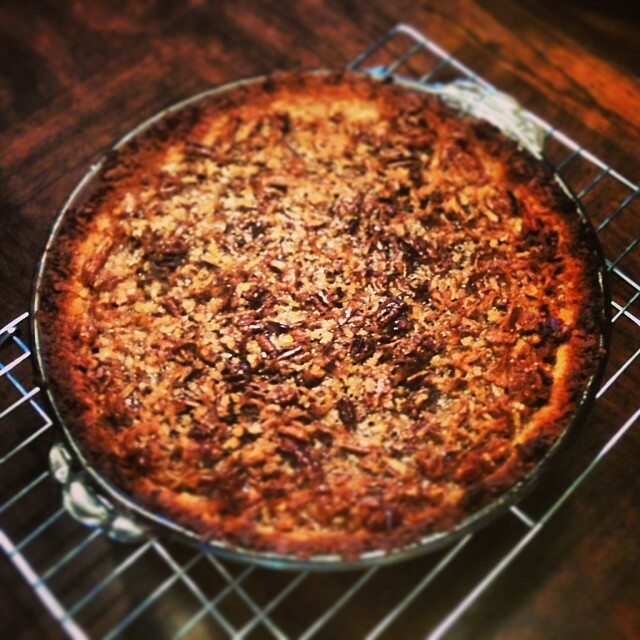 Thanksgiving day started out great…I woke up and found my wife preparing the coconut crusted pecan pie I mentioned. While not exactly healthy due to the sugar content…it was wonderful to have a gluten free option later that day. When she finished the pie, I began cooking the ham. Let me back up just a bit…the night before I went to the grocery store to buy the ham…ended up spending a good bit of time reading and comparing labels on every one of them in the store. I ended up choosing the one with the least amount of additives…cured with water, salt, and some nitrates (gasp)…many of the others had a lot of additives so I think I chose the best of the ones available. 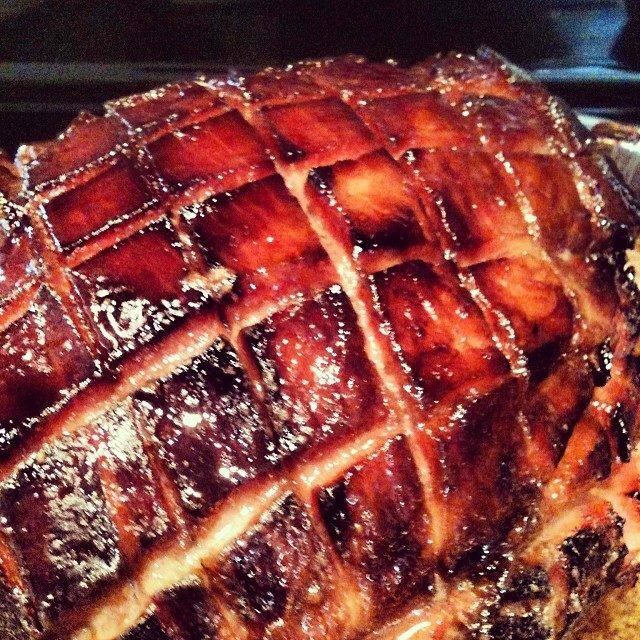 I cooked the ham for several hours and then added a glaze consisting of brown sugar and Dijon mustard…perhaps not the best choice…but have you had candied meat? It’s hard to resist. When we arrived at the in-laws, my mother-in-law had baked some sweet potatoes, made the green bean bundles, spinach salad, and even went through the trouble of modifying her rice dressing recipe. Everyone has been really supportive to all the food issues with our family (which is another part of the story I should write about). Aside from those foods, the standards were all in attendance…turkey, giblet gravy, cornbread dressing, cranberry sauce, mashed potatoes, pumpkin pie, coconut pie, pecan pie…but with all the great choices available these were easy to pass up. 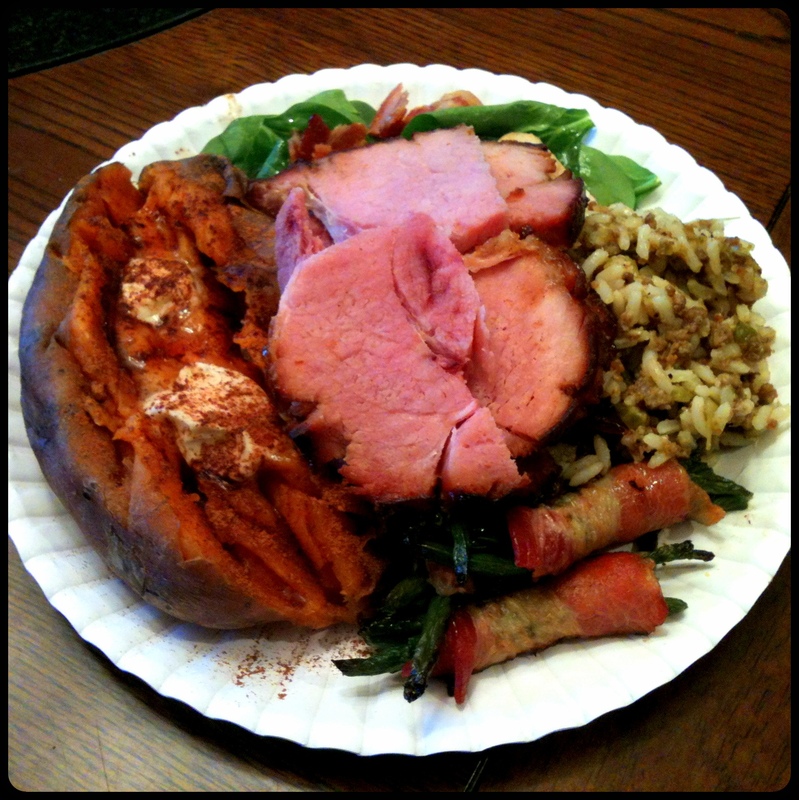 I was also able to eat on a smaller plate than the giant oval ones…it threw my mother-in-law for a loop…but it worked! One plate (filled a little more than normal) and I was done…let that settle for a while before I tackled the special pie. 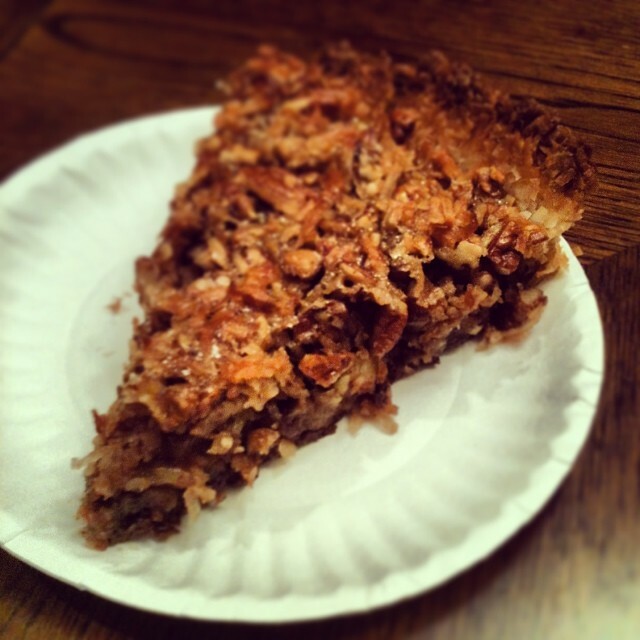 More about the gluten free coconut pie…it was nothing short of a slice of heaven to a dude who’s sworn off sweets and such for a little over five weeks now. The shredded coconut had a nice crisp on the outside of the crust…the dark chocolate and pecan mixture inside was sinful…having one slice was enough…plus I was able to save several slices in the freezer to enjoy at Christmas! All in all…compared to past holiday glutton fests…I think we did fairly well…onward to Christmas…and resisting all the office treats! The lesson here is HAVE A PLAN…a manageable one…and everything will work out. One last photo of the pie!